At Money 20/20 in Las Vegas, NV this week, Samsung announced Samsung Pay support for three new countries, as well as new features for users in the United States. The newly supported countries are Thailand, Malaysia, and Russia, bringing the total of supported countries up to 10 by the end of 2016. Additionally, Samsung is partnering with Mastercard to bring Samsung Pay to more places on the web via Masterpass, currently accepted at hundreds of thousands of merchants in 33 countries across the globe for online payments. For us in the US, we get a few special features on top of that stuff. Samsung Pay will now support in-app payments, plus new “nearby discounts and savings,” bringing us one step closer to a truly digital wallet. Beginning next month, Samsung Pay users will be able to find discounts and coupons for nearby stores and restaurants through the new Deals feature within the Samsung Pay app, and redeem these deals instantly. 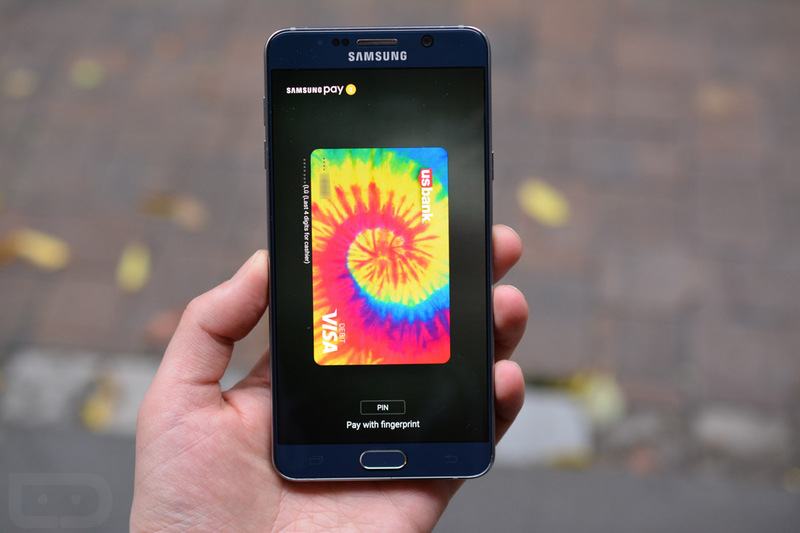 With this now known, users should expect to see an update for the Samsung Pay app at some point in the near future. As for the in-app payments, that is also rolling out in November, with a few retail partners already lined up. To give an example of the experience, if you are in a supported application, you would no longer need to fill out all of your payment details. Instead, hit the Samsung Pay option, then you are all done. It should be extremely quick and painless. While it seems everyone is enjoying Samsung Pay, I’m still yelling at my bank for not supporting it.